This Fourth of July, celebrate with the best red, white, and bubbly! We looked back through some of the wines on the show to find four American favorites for your Independence Day festivities. Let's start off with a classic. Cabernet Sauvignon is a staple no matter the season, and the dedicated red wine drinker is sure to appreciate this medium-bodied Napa Valley wine. Hints of cherry and vanilla make it great for the warm weather, and it will pair perfectly with your barbecue-- especially ribs and other pork. The silky tannins in this wine will pull out the flavor from ribs. Check out William Shatner enjoying a glass with Food & Wine exec Ray Isle, then grab a bottle for yourself here. 2012 was a great year for Californian wines, and this fantastic chardonnay from the Santa Lucia HIghlands proves it. Notes of peach and melon give this wine a fun, seasonal twist that makes it perfect for your picnic. The refreshing and well-balanced nature of this wine make the Luli chardonnay a wonderful option for earlier in the day. Not convinced? Watch Supernatural angel Misha Collins praise Luli, and then order yourself a bottle here. While champagne is always a crowd-pleaser, we recommend trying something new this Fourth with Mumm Napa's signature sparkling wine, the Brut Prestige. The citrus notes in this wine make it a delight for summer drinking, while hints of creamy vanilla and gingerbread spice add complexity to the taste. Alton Brown pairs it with biscuits and gravy, as it makes a strong counterpoint to anything with a bit of kick. If you're looking for a bit of bubbly this Fourth, but wary of how champagne will pair with your hot dogs and hamburgers, Brut Prestige might be the perfect wine for you. Snag a bottle here. Indecisive about which wine to choose? Try a bit of everything with this white wine blend. It's 40% Roussanne, 37% Piquepoul, and 20% Grenache Blanc. The aromas of blossoms and fruits in this wine make it wonderful for a warm evening or a hot day, and the notes of orange make it a summer favorite. Watch William Shatner try it with marijuana dealer Dominic, then order a bottle here. 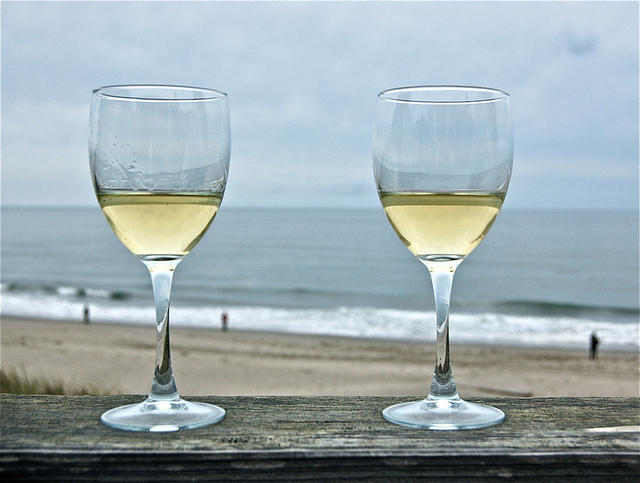 We hope these wines complete your celebrations this Fourth of July! Eat, drink, and be merry.